The French Socialist Party has elected a pro-basic income politician, Benoît Hamon, as its candidate for the presidential election this spring. Benoît Hamon, the left-wing politician who has gained considerable media attention in recent months for his basic income proposal, has won the Socialist Party presidential nomination. He comfortably beat rival and former prime minister Manuel Valls by 58.9% to 41.1%, after his surprise win in the first round. 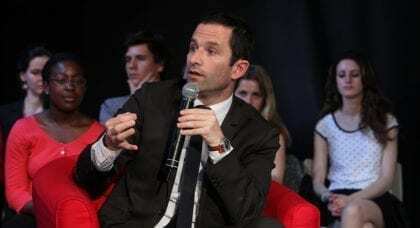 “Universal basic income is a tool to liberate work, allowing people to actually choose their work and not suffer from it” Hamon declared yesterday in his speech to supporters after his victory was made official. Introducing, in 2018, a basic income without means-testing for those between the ages of 18 and 25. Raising existing unemployment and underemployment benefits (RSA) to 600 euro a month. Instituting a system of automatic payment of such benefits, to replace the existing system under which eligible persons have to apply (meaning that a third of those eligible do not receive their entitlements). Launching a citizens’ conference to determine the details of the basic income’s ultimate extension to all citizens, and increasing the payment to 750 euro a month. Nicole Teke of BIEN’s French affiliate, the French movement for basic income (MFRB), said the following of the result: “This is a beautiful victory, not only for Hamon but also for the idea of basic income. This vote shows that hundreds of thousands of people want basic income to be at the heart of political debate. This is such progress when compared with the misunderstanding of the idea three years ago! The advocacy work carried out by the MFRB along with other associations has borne fruit today.” She highlights that MFRB have contacted all the presidential candidates, advocating for the swift introduction of basic income across the political spectrum. Basic income is proving to be a popular idea in France, as elsewhere, with the Senate just last October releasing a report calling for pilot projects to investigate the policy. This proposal drew sharp criticism from the pro-business Valls, who (despite earlier statements) instead offered a “decent income” of 800 euro a month, targeted solely at the worst-off. This would involve simplifying the French welfare system, but maintaining means-testing. Hamon’s success has been compared to that of Jeremy Corbyn in the UK, as both represent a return to socialist values within parties that have been moving ever closer to the political center. Hamon’s platform also includes a tax on robots to fund the basic income, reductions in working hours and the legalisation of cannabis. Now Hamon will face a hard battle to win the presidential election against his rivals. The Socialist Party has lost a massive number of supporters under the mandate of President Hollande and is expected to be a big loser in the upcoming election. 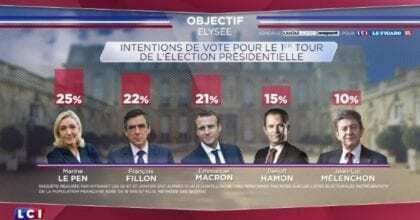 According to the most recent polls, Hamon would only receive 15% of the votes, in fourth position behind Front National’s Le Pen (25%), Conservative Fillon (22%) and Centrist Macron (21%), but ahead of the radical-leftist Mélenchon (10%). This estimate is, however, much higher than earlier polls suggested, which had predicted Hamon to receive only up to 6% of the votes if he were to become the Socialist candidate. The first round of the presidential election will take place on 23 April. Stanislas Jourdan, “FRANCE: Pro basic income candidate set to win socialist primary election”, Basic Income News, 22 January, 2017. Thomas Samson, “Part-Sanders, part-Corbyn: how French socialist Hamon stepped out of the dark”, France 24, 25 January, 2017. Pascal Guyot, “French left mulls universal basic income ahead of primaries”, France 24, 12 January, 2017. Cédric Pietralunga and Bastien Bonnefous, “Benoît Hamon : « Le revenu universel est la nouvelle protection sociale »” [Benoît Hamon: universal income is the new social security], Le Monde, 4 January, 2017. Mathilde Damgé et Adrien Sénécat, “Hamon-Valls : deux revenus de base, un même flou de financement” [Hamon-Valls: two basic incomes, a common haze on financing], Le Monde, 24 January, 2017. Barbara Carnevale, “La proposition de revenu universel de Benoît Hamon” [Benoît Hamon’s universal income proposal], Le Mouvement Francais pour le Revenu de Base, 23 December, 2016. Stanislas Jourdan, “FRANCE: Prime Minister Pledges Again to Open the Debate on Basic Income”, Basic Income News, 25 September, 2016. “FRANCE: Senate Report Marks Another Milestone for Basic income”, Basic Income News, 23 October, 2016. Genevieve Shanahan has written 20 articles. Genevieve is a graduate of University College London, with an MPhil in philosophy. She currently works at the Grenoble Ecole de Management, assisting with research on young people and work in Europe, and otherwise reads and writes about basic income. ____Also, they always fund these programs from tax monies, not from NEW MONEY that later becomes tax money paid by the increased taxable incomes being generated. ____Also, these NEW MONEY funds, (from the Grass-Roots-Up,) ought to be distributed evenly to every adult person in a nation, not to just one group or another. It would become a civic responsibility,( not a :basic income,) for individuals to put the NEW MONEY into circulation from right where they happen to be.